12+ Antioxidants & Spot Reducer Serum to protect skin against damaging effects of free radicals caused by sun exposure while reducing brown spots and unwanted wrinkles for a young, healthy looking skin. Bioflavonoids, a natural blend of powerful antioxidants found in citrus fruits such as orange peel oil, grapefruit seed extract to provide anti-aging properties and a daily protection against irritants such as wind, cold, pollutants, smoke, dirt and some chemicals. Emblica Officinalis, a strong antioxidant, skin lightening and age-defying agent found in an Indian fruit that has proven its efficacy to enhance general vitality and promote longevity. Other ingredients: Aqua, Dicaprylyl carbonate, Glyceryl stearate, PEG 100 stearate, Glyceryl Monostearate, Glycerin, Myristyl myristate, Cetyl alcohol, Tricontanyl PVP, Lecithin, Ricinus communis (Castor) seed oil, Sodium Dehydroacetate, Prunus Amygdalus Dulcis (Sweet almond) oil, Sodium Gluconate, Aloe Barbadensis (Aloe vera) leaf extract, Glycyrrhiza Glabra (Licorice root) extract, Hexamidine diisethionate, Mangifera Indica (Mango) seed butter, Butyrospermum parkii (Shea butter), Lactic acid. Apply generously on face and body. Gently massage in for 5 seconds. 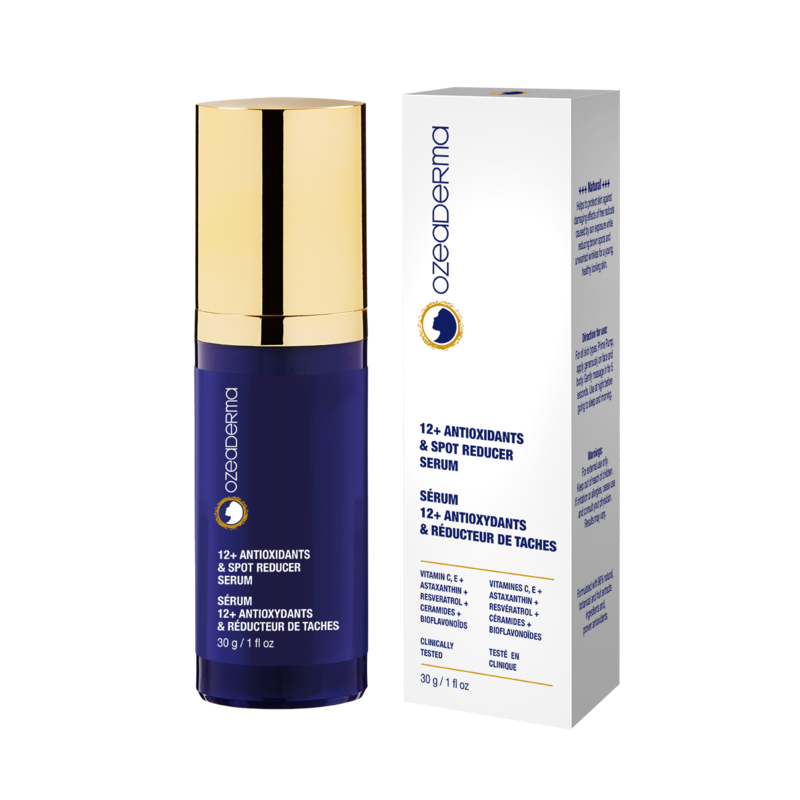 Could be used alone or for best results, apply after the OzeaDerma Anti-Aging Protective Moisturising face cream or a sunscreen. Use at night and morning. For external use only. Keep out of reach of children.